Over 6,000 prisoners from across California soon joined the Pelican Bay hunger strikers, demanding an end to the practice of solitary confinement, access to decent food and medical care, as well as more education opportunities for inmates. The hunger strike lasted three weeks before it was called off. However, since then a wave of hunger strikes at prisons across the country have taken place with inmates demanding basic human rights. For their courage, inmates who choose to participate in the hunger strikes often face intense harassment from prison authorities, sometimes in the form of savage assaults. Please call or write to the following government officials to bring attention to the prisoners’ demands. 1. "Hunger Strikes Reportedly Continue in Multiple Georgia Prisons, Prisoners Await A Movement Outside Prison Walls | Black Agenda Report." Black Agenda Report Web. 23 July 2012. 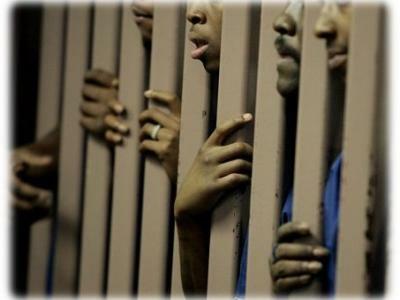 <http://blackagendareport.com/content/hunger-strikes-reportedly-continue-multiple-georgia-prisons-prisoners-await-movement-outside>. 2. "One Year Anniversary of Pelican Bay Hunger Strike Against Solitary Confinement.” Solitary Watch. Web. 23 July 2012. <http://solitarywatch.com/2012/07/03/one-year-anniversary-of-pelican-bay-hunger-strike-against-solitary-confinement/>.